This foam tray features 16 compartments which will keep your miniatures and game accessories safe. The tray has the following dimensions: 345 mm x 275 mm x 40 mm. 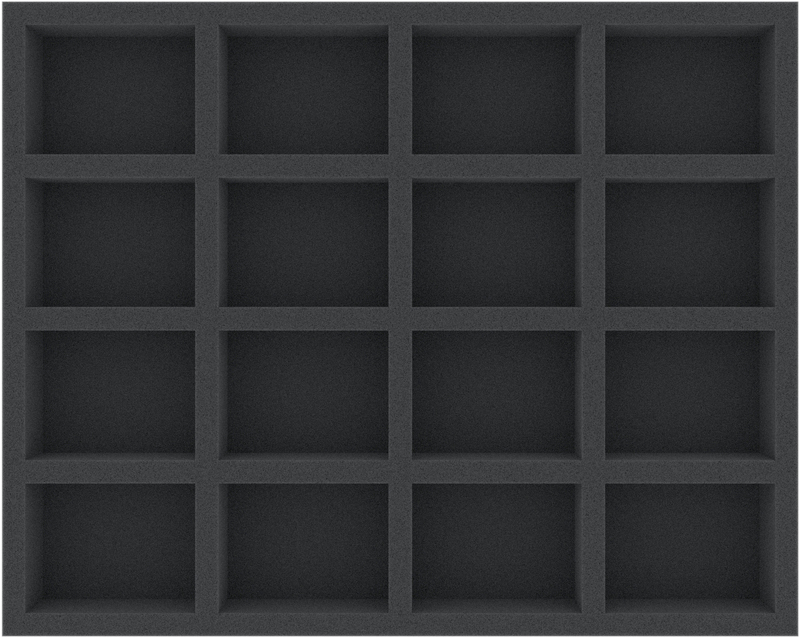 Each of the 16 compartments is 74 mm long x 56 mm wide x 30 mm deep. 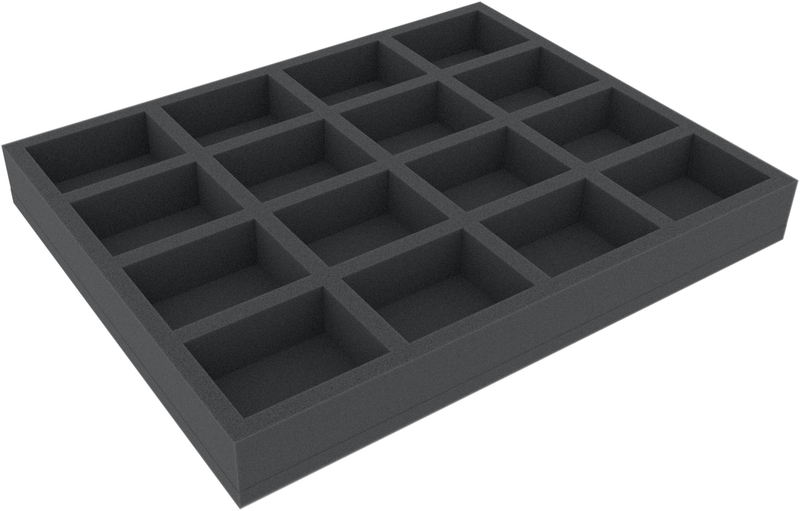 Since the tray comes with a 10 mm base, the effective usable height of the compartments is 40 mm - 10 mm = 30 mm.